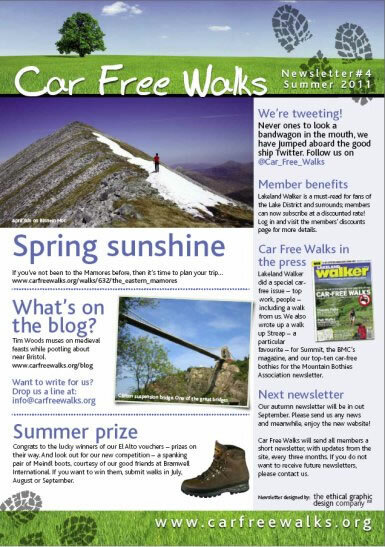 Including our recent car-free walking adventures, a new special members offer with Cicerone, and our latest fantastic quarterly prize draw. As always, a big thank you to Simon at the Ethical Design Company for the great look. As always, a big thank you to Simon at the Ethical Design Company for the great look. 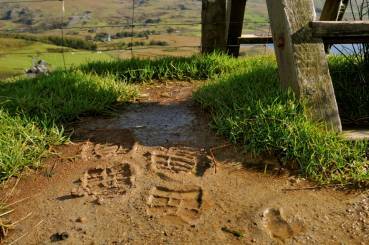 You can read previous versions of our newsletter by clicking these links here - Autumn 2010, Winter 2010 and Spring 2011. We hope you continue to find them enjoyable, and perhaps even inspiring. Here is the Spring 2011 edition of our new-look newsletter! 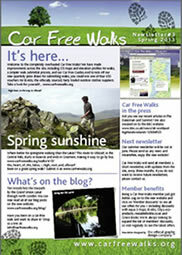 Here is the Spring 2011 edition of our new-look newsletter! A big thank you to the Ethical Design Company for making it look so great. 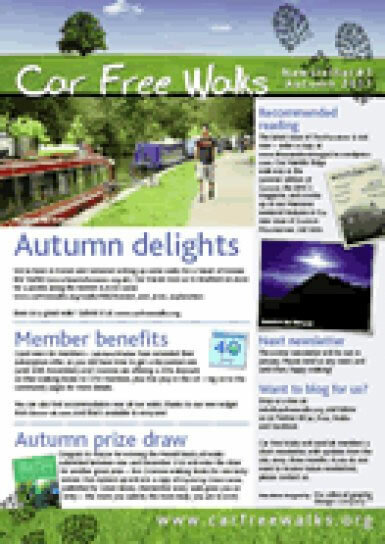 You can read previous versions of our newsletter by clicking these links here - Autumn 2010 and Winter 2010.